Mushrooms seem like a vegetable, but they’re actually the fruit of a fungus. Fungi are often depicted as yucky, or even malignant, in many fairy tales and other children’s stories (the witch is always brewing a concoction with toadstools), but some are edible bulbous elixirs that promote good health. Asian cultures have equated mushrooms with immortality, potency, and dancing. Three edible good-for-you species of mushrooms are maitake, reishi, and shiitake, which may show special promise in enriching well-being and pleasing taste buds. Certain mushrooms are an important component of Traditional Chinese Medicine. Centuries ago, the Chinese cultivated mushrooms in pursuit of culinary, medicinal, and nutritional value. The maitake, reishi, and shiitake are truly remarkable, showing potential ability to boost immunity, help support the lungs and other organs, and as a potential component of cancer therapy. “These three types of mushrooms are immunostimulants with anti-tumor and anti-inflammatory properties, which has made them popular supportive therapies for people with cancer, especially those who are undergoing chemotherapy or radiation”, says Michele Collins, MPH, RH (AHG), a trained clinical herbalist in Winston-Salem, North Carolina. “They help stimulate the immune system and enhance its ability to inhibit the production of abnormal and tumor cells.” Japan and China incorporate mushrooms into their diets as a therapy for disease and myriad other ailments. The maitake, reishi, and shiitake are known for offering a variety of therapeutic benefits, each possessing slightly different qualities. Shiitake is known as the “elixir of life” in China, containing lentinan, a polysaccharide showing strong anti-tumor power. 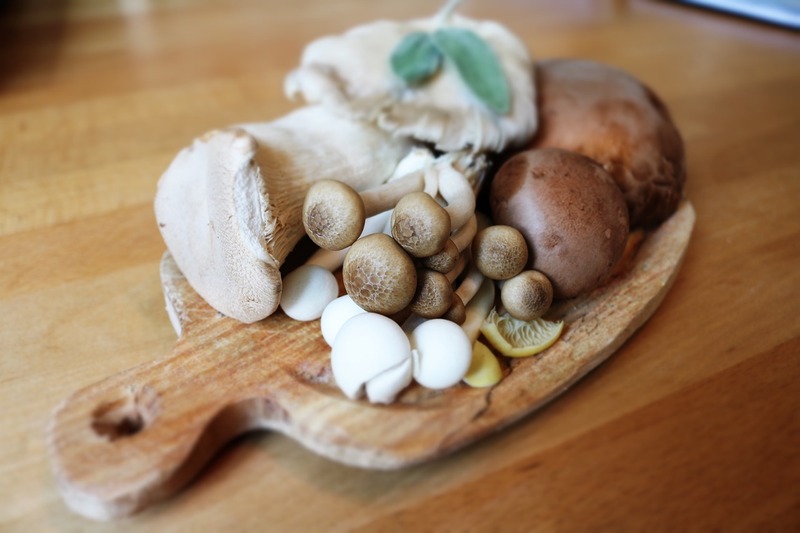 Shiitake mushrooms include all eight essential amino acids in higher quantity than meat, soybeans, milk, and eggs, making this mushroom a perfect food for vegetarians and vegans alike. 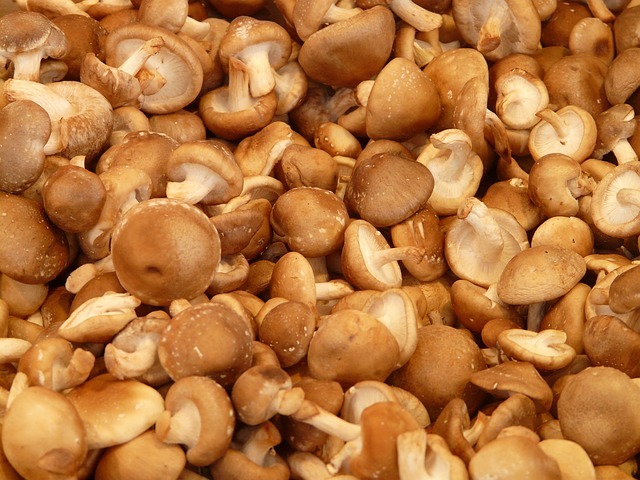 Shiitake contains a cornucopia of vitamins and minerals including A, B12, C, D, niacin, and selenium. Gently wipe with a clean, damp cloth or wet paper towel. Remove stems. Rinsing or soaking in water may create a soggy, swelling mushroom. Dried mushrooms are great. Soak dried mushrooms in water for one hour and discard stems. Try whole, dried mushrooms in soups. Delicious mushrooms are great added to soups, salads, sauces, and pasta and rice dishes. Shiitake and maitake are the most flavorful ones to cook with or eat raw, says Collins. “I consider them to be toxic foods, where, literally, your food is your medicine,” she adds. Try these healthy delights and reap the high nutrient, low calorie, and medicinal benefits. Reishi medicinal mushrooms are too bitter for culinary use. The earthy flavor of maitake tastes great in Italian pasta dishes. Maitake can be sautéed and are excellent for immune boosting soup (miso), in stir-fry, baked, served over rice or salmon. Best used when fresh. Try this delightful nugget of health. Toss shiitake into stir-fry dishes; add to vegetarian chili; sauté with onions and garlic or use in meat dishes of your choice. Best fresh but hard to find, fortunately, shiitake’s are available canned in some markets. Maitake, reishi, and shiitake fungi are available fresh, dried, powdered, tablet form and tea. Located in Asian markets, gourmet stores, natural food stores, and most large grocery stores. Certain people may be allergic. A couple of groups of people, explains Collins, will want to take precautions before using them. “Because of the stimulating effect on the immune system, people who are taking immunosuppressant medications for autoimmune disorders or who are undergoing organ transplant would want to consult with their doctor first before using any of these mushrooms,” she suggests. It’s important to seek advice from your healthcare provider before starting any diet or supplement regime. Active ingredients in red reishi, triterpenes (called ganoderic acids), may help lower blood pressure and improve circulation. Has an adaptogenic quality, which means it may help the body fight stress. Can be found in pill form, tea, and liquid extracts. Though available in tea bags, capsule form is most preferred due to the tea’s bitter flavor. Follow the manufacturer’s label instructions or dose given by a healthcare practitioner. In some cases may cause diarrhea.